Tyga Performance have joined in a business venture to provide worldwide ditributotion and sales of IRC race tires. Although not well known abroad, IRC is heavily involved in motorsport here in Thailand and provider for the Thailand national championships in many classes including the MSX125 Race Series. 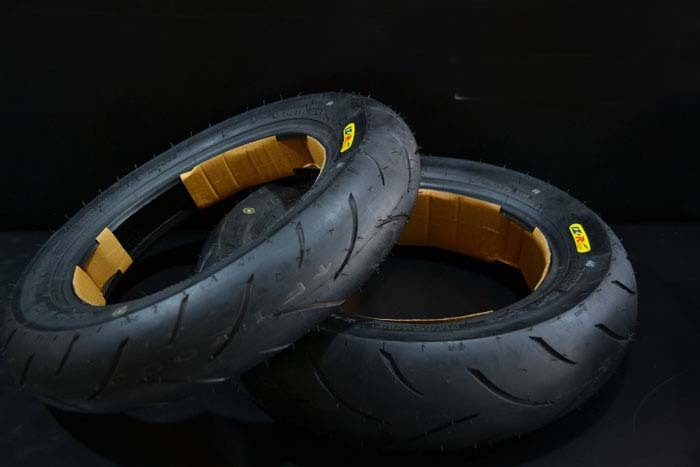 These tires are super sticky and have been developed specifically for racing with the MSX125 Grom unlike most other tires which are simply scooter tires which happen to fit. These tires can be used fon the street* and are ideal for stunt or canyon riding too. *May not comply with regulations for street use but provides good grip in both wet and dry conditions.